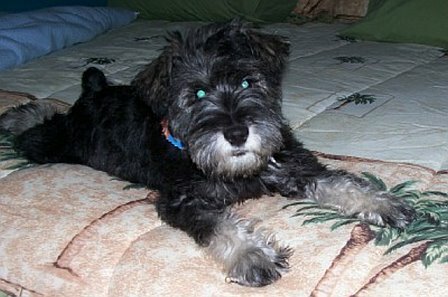 The Miniature Schnauzer is a robust and sturdily built dog with an undeniable terrier appearance. The head is strong, long and rectangular, topped by small, v-shaped ears that can be cropped or uncropped. Eyes are deep set, small and brown, and convey a look of keen intelligence and alertness. The powerful muzzle is rather blunt and houses a set of scissors bite teeth. Distinct eyebrows, moustache and beard accentuate the head. A strong, arched neck leads to a straight line that slopes slightly toward the tail, which is set high, carried erect and docked short. Feet are round, compact and catlike. A close lying undercoat is protected by a very wiry, hard outer coat. Coloring is solid black, salt and pepper, or black and silver. 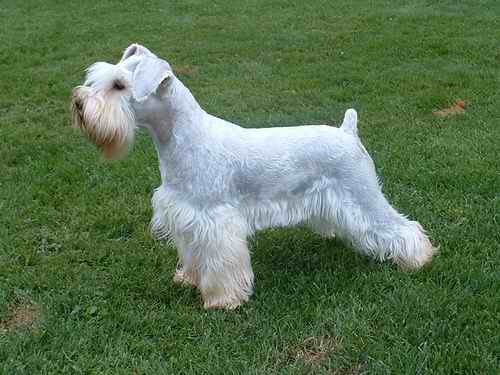 Height (Male) 12 - 14"
Common Misspellings Minature Schnauzer, Miniture Schnauzer, or Miniature Shnouzer. 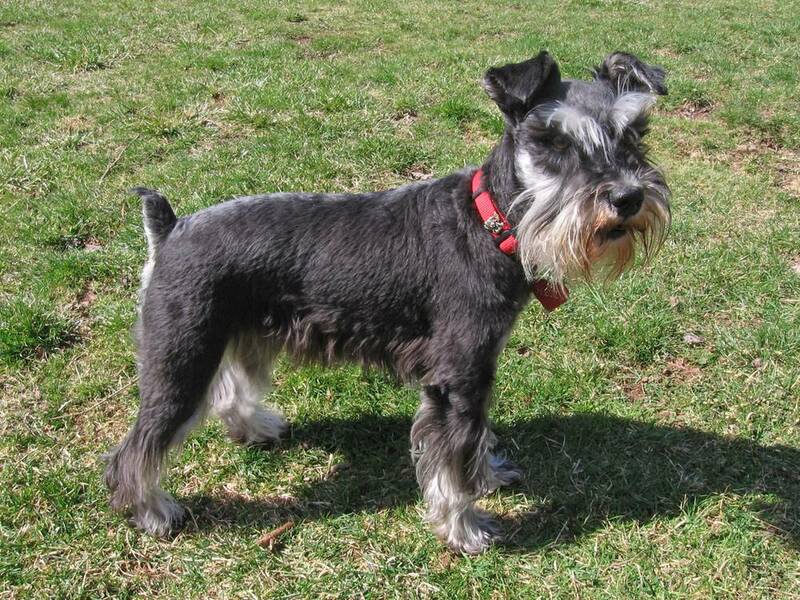 The Miniature Schnauzer is the most popular breed in the Terrier Group, and for ample reason. This dog combines all the spunky, scrappy energy that is so revered in a terrier with a high level of sociability and friendliness. Dogs, children, strangers and other pets are all potential friends for this jovial breed. The Miniature Schnauzer also possesses a great understanding of the difference between house and yard, switching from playful and boisterous outside to calm and mild mannered inside. 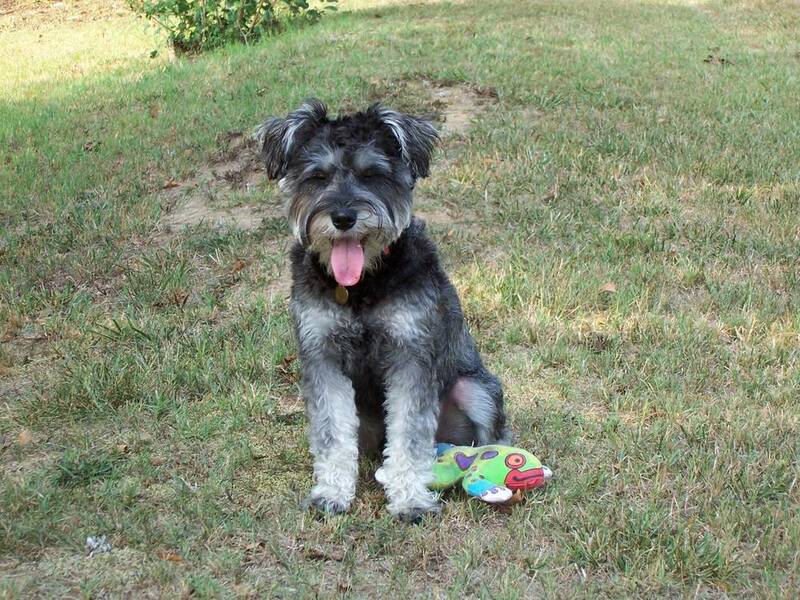 This makes for a dog that is generally on good terms with the adults and always a lot of fun for the kids the only reason we say generally is because the Miniature Schnauzer has a stubborn and mischievous side that may try its masters patience at times. 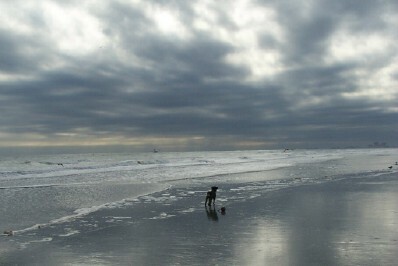 Generally speaking, however, this dog is rather obedient. Some Minis will bark a lot. The Miniature Schnauzer is amenable to apartment life, but ideally it should have access to a yard. The dogs tough, wiry coat provides ample protection from the elements, but the Miniature Schnauzer should not have to sleep outside. This family dog likes to live inside with its loved ones. Grooming consists of biweekly combing along with stripping (for show dogs) or clipping (for pets) every few months. 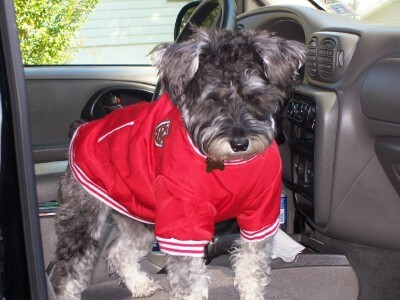 Known health issues in the Miniature Schnauzer include urolithiasis, progressive retinal atrophy, von Willebrands disease, myotonia congenita, Schnauzer comedo syndrome and allergies. For centuries, these dogs were kept as herders, guardians, ratters and companions, and eventually developed into three distinct sizes: Giant, Standard and Miniature. 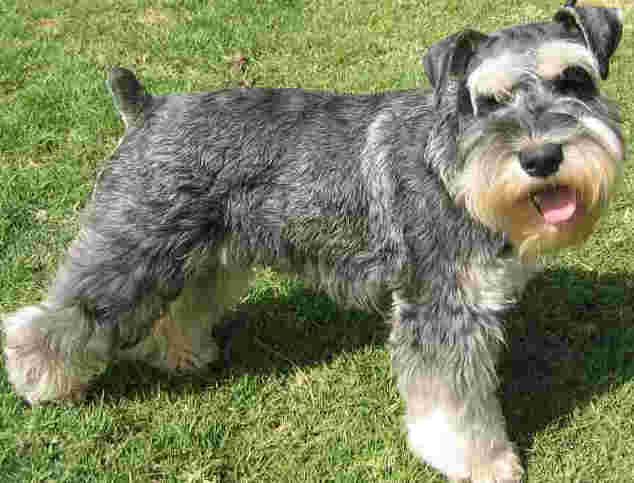 The Miniature Schnauzer is the youngest of the three, having just come on the scene during the late 19th century. The breed was created by crossing the Standard Schnauzer with the Affenpinscher, and possibly the Miniature Pinscher and Poodle, and was initially bred for the purpose of ratting. 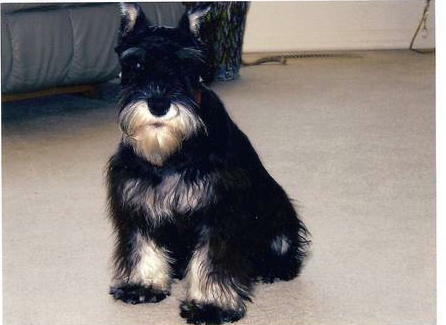 However, the dogs smart looks and high quality immediately caught the attention of show breeders, and the Miniature Schnauzer began to appear in the ring virtually from the moment it was born.The Miniature Schnauzer was first bred in the United States in 1925, and was recognized by the American Kennel Club in 1926. 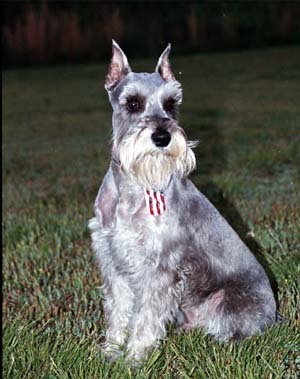 The breed was initially grouped with the Standard Schnauzer, and would not receive separate AKC recognition until 1933. In the years following World War II, the Miniature Schnauzers popularity skyrocketed, elevating the dog at one time to the coveted position of third most popular breed in America. Even today, the Miniature Pinscher is among the top ten most registered breeds with the AKC, and is also a common fixture in the show ring.Incidentally, the Schnauzer breed name comes from an individual show dog named Schnauzer exhibited in Germany 1879. 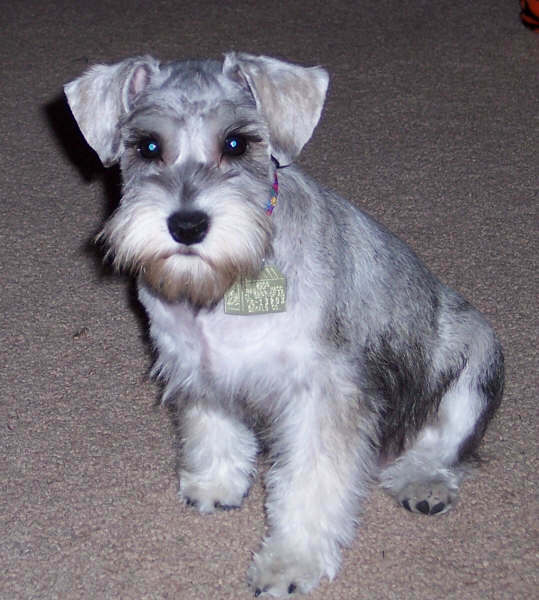 Translated from German, the word Schnauzer means small beard.